If you could ask God for anything for your family, what would it be? When I first became a mom, a good friend gave me a book entitled Praying the Scriptures for Your Children by Jodie Berndt. I had no idea what a great gift I'd been given in Jodie's book until I was in the trenches of motherhood and learning that praying for the hearts of my children was the greatest gift I could give them- and also pretty much my only hope! A few years ago, a mutual friend introduced Jodie and me, and we became fast and close friends. I adore Jodie and I'm honored to share her wisdom with you today. (P.S.- If your children are well into their teen years, you're in luck. Jodie also wrote Praying the Scriptures for Your Teens.) Welcome Jodie! Robbie and I had four kids in six years (the first two were really easy, and by the time we realized that not all children like to sit quietly in the corner and do puzzles, it was too late to get a new plan), and there were times when I felt like a broken record, encouraging them to mind their manners, be kind, or (as southern moms like to say) not use any “ugly talk” as they climbed into the car and stepped on each other’s art projects on the way home from church. Those simple words birthed fresh life into a tired parenting challenge. Suddenly, I had something specific and intentional to pray—and, since the request was rooted in Scripture, I knew it came with power. Encouraged by verses like Hebrews 4:12 (which talks about God’s Word being “alive” and “active”) and Isaiah 55:11 (which says it accomplishes God’s purposes), I began to see the Bible as a treasure trove of promises I could appropriate for my kids. Ephesians 4:29 was just the beginning- and it seemed that no matter what else I wanted God to do in their lives, there was a verse that “matched.” Healthy friendships, diligence at school, a grateful heart…in all of these things and more, God had my family covered. I had a long list of requests. And I wondered if other moms (and dads) thought about the same kinds of things. What would they say they wanted to see happen in their families’ lives? I got more than 100 replies, citing everything from “good sibling relationships” to “wisdom” to “physical health and safety.” One forward-thinking mother even wanted God to pick “the right marriage partner” for her preschool-aged daughter. It was fun to read the requests—and even more fun to start researching them in the Bible. And sure enough, there were verses that spoke to every need and concern that showed up on my survey. I got excited! So excited, in fact, that I decided to write a book. I lumped the survey answers into 20 chapters, all addressing a specific need, and the result became Praying the Scriptures for Your Children. 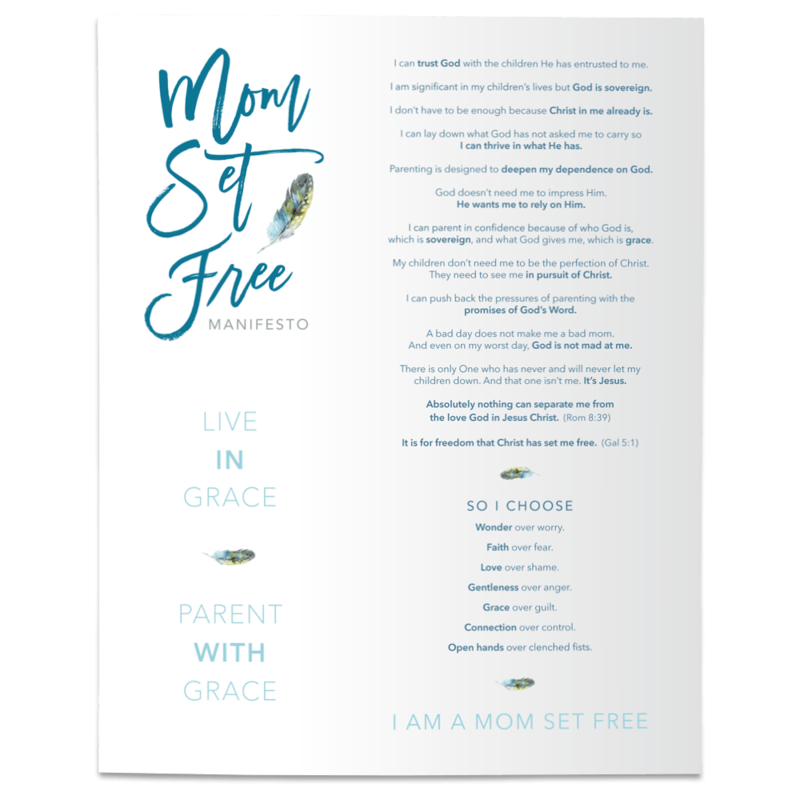 Each chapter features stories about real-live parents who saw God move in their children’s lives, and closes with 10 or 12 verses readers can use to pray for their own kids. If you’re where I was—tired of sending up the same old “help my kids be nice” sort of prayers—why not give Praying the Scriptures for Your Children a try? Or you can just pick up a Bible and find your own verses to pray. In John 15:7, Jesus says, “If you remain in me and my words remain in you, ask whatever you wish and it will be given to you.” The point, he explains in the next verse, is so that we’ll bring glory to God and live fruitful and productive lives. And I don’t know about you, but the way I see it, if God can get four kids buckled into one Chevy Suburban without anybody complaining about the seating arrangement or how their brother’s feet smell, a productive and fruitful life is just around the corner. Jodie Berndt is an author, a speaker, and a mom. She has been happily married to Robbie (her University of Virginia sweetheart whose most valuable attribute is not, as some might guess, his great hair or his I-don’t-age athleticism, but his incredible steadiness) for nearly 30 years, and now that the youngest of their four children has gone off to college, they are eyeing the possibilities. Yes, they've talked about re-decorating. Or getting a sailboat. Or even moving—to someplace like Montana (Robbie’s choice) or the south of France (Jodie's choice). But Jodie thinks it might be enough, at first anyway, to just get rid of the smell of lacrosse cleats and be able to breathe deeply in her own house again. You can connect with Jodie on her website, JodieBerndt.com. You can also find Jodie on Twitter and Instagram.